The DuraFon-SIP is the industry's first durable, long-range SIP cordless phone. The DuraFon-SIP Cordless Phone System delivers industry-leading range, durability and reliability, in a flexible, multimode communications platform that provides users with the lowest total cost of ownership (TCO) in the industry. 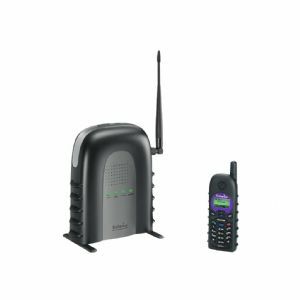 This durable, long-range SIP cordless phone provides up to 250,000 square feet of facility coverage, penetrates up to 12-floors for in-building coverage and up to 3,000 acres of property in open land coverage. It supports both SIP and one PSTN line analog and is ideal for companies with an existing IP-PBX system on the premises or those using hosted VoIP services that require reliable, long-range communications over large areas or in harsh environments. Such as, organizations whose staff work on large properties outside of a conventional office, or venues where employees need to stay in constant contact with a main office or management team and where Wi-Fi or DECT phones can't reach. An expert in wireless communications and RF technology, EnGenius delivers feature-rich, long-range wireless communications technology for voice and data. The versatility and performance of the company's solutions lower total cost of ownership, increase productivity and maximize efficiency and performance to a large number of clients simultaneously.